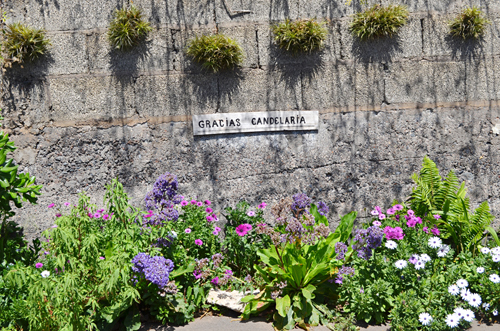 The spell of good weather continued last week as Tenerife put on its best face for the visiting British Guild of Travel Writers. There were some cloudy spells but overall it was a very warm and sunny week everywhere. Even on the summit of Mount Teide on Thursday night it wasn’t anything like as cold as it had been when we were up there in early November. Yet again it was a no show for the snow on the mountain. I’m starting to think the weather people have just got to the point where they’re saying ‘it’s got to change this week’; I know we feel a bit like that. This has been an incredible January, but is this the week it’s going to go back to normal? It looks like it will remain sunny everywhere through to Wednesday. After that the south and south west could be very cloudy whilst the north and east could see sun, with some cloudy spells, for a day longer. From Friday it might be thick cloud across the island. There’s a strong possibility of rain on Friday and Saturday. Even so, there still should be sunny spells over the weekend. 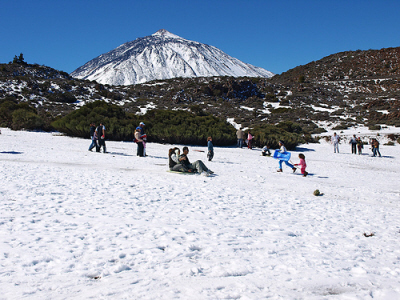 Any takers for snow on Teide this week? 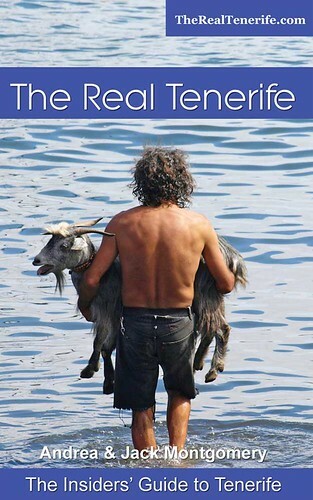 Weather in South Tenerife – Monday to Wednesday should be lovely and sunny. The second half of the week could be very cloudy with the sun only making an appearance now and again on Saturday and Sunday. There’s a 5-45% chance of rain from Thursday onwards. Temperatures should start the week at a very warm 25C before dropping to a more seasonal 18/20C from Thursday. 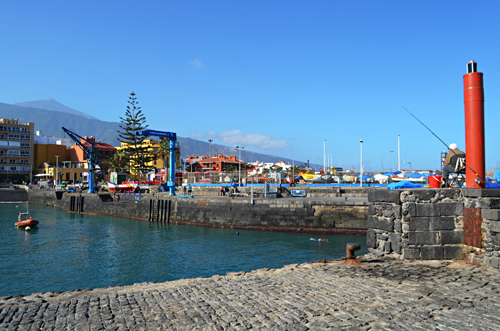 Weather in North Tenerife – Monday to Thursday should be sunny in the north, with only some cloud joining the sun on Thursday. Friday and Saturday might be cloudy all day before there’s a mix of cloud and sun on Sunday. There’s a 5 to 65% chance of rain from Thursday with Friday and Saturday looking most likely. Temperatures start the week at 22C before dropping to 16/18C in the shade from Thursday. Weather in East Tenerife – It’s a similar pattern as the north except there will be a mix of sun and cloud on Wednesday and cloud and sun on Thursday. 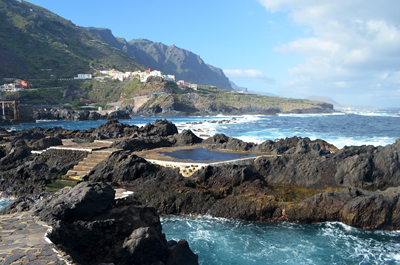 Weather in South West Tenerife – Exactly the same outlook as the south of Tenerife. 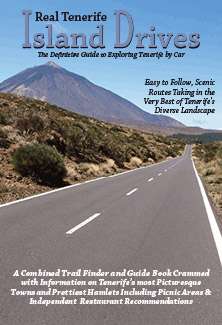 Weather in the Mount Teide Crater – Teide National Park should be bathed in sunshine between Monday and Wednesday. From Thursday it’s a different picture with a mix of cloud, sun and showers for the rest of the week. 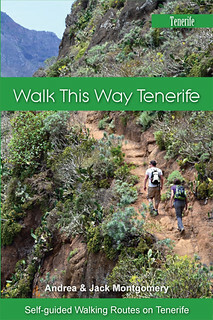 It’s similar on Mount Teide except the rain showers could be snow showers. 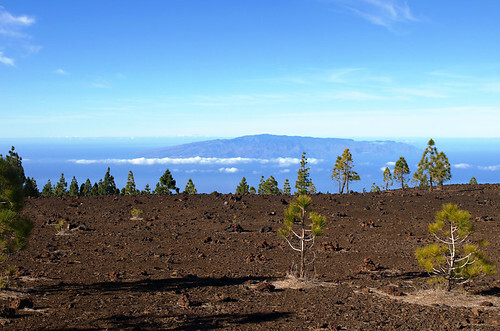 Temperatures should hover between 7 and 10C in the crater and -2C and 1C on the summit of Mount Teide. 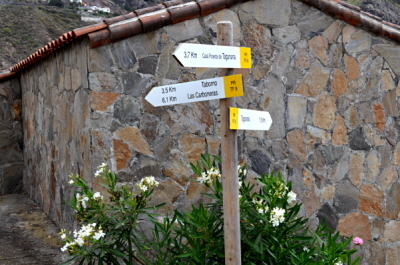 Pic: The view enjoyed by the British Guild of Travel Walkers when walking in Teide National Park on Friday.